Well, folks, PAX is behind us, and the whole BrainLazy staff was there for all three days, working the floor and digging up the goods. The bad news about having your entire crew attend is that there is no one to put up the coverage during the show. The good news is that when the dust clears there is an awful lot of coverage to show for it. 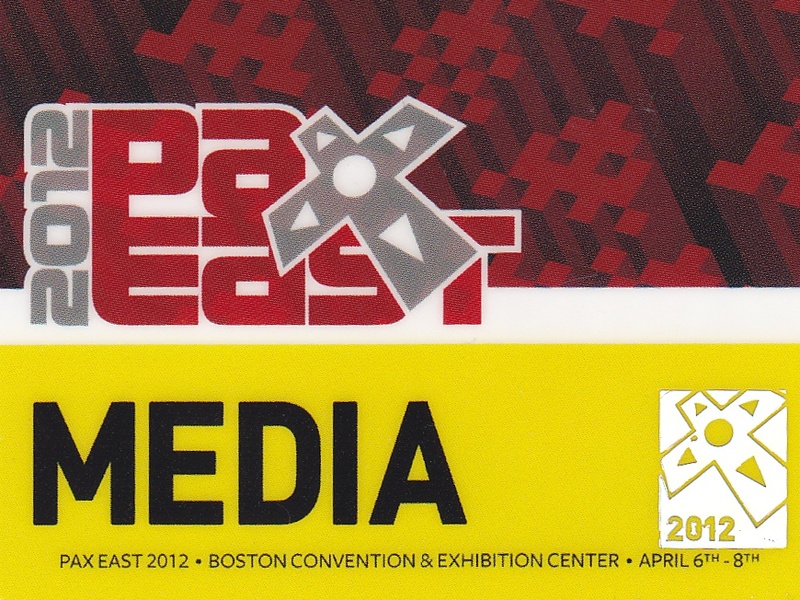 Keep your eyes here in the coming days for news about games, gear, and more as we dutifully process and extrude the PAX East 2012 crop. You can expect your first serving tomorrow, but as an appetizer, I’m here to give you the rundown of what we’ve got in store. First, we’ve got no shortage of stuff from the big names. An off-site venture to a Square Enix get-together earned us a sneak peek at some major releases on their calendar, including Sleeping Dogs, Quantum Conundrum, Hitman Absolution, and Heroes of Ruin. We also got a chance to talk to Kim Swift of Portal fame! On the floor, 2K Games gave us a preview of Civilization V: Gods and Kings and Borderlands 2. After that we hunted down and feasted our eyes on some fresh Assassin’s Creed 3 footage. A roving reporter gave Microsoft’s XBLA showings a thorough once-over, including the eagerly awaited Minecraft port and an intriguing little game called Dust. Let’s not forget that we also took the time to track down Runic and talk to them about Torchlight 2. PAX isn’t all about the software, mind you. The good folks at Rosewill gave us a rundown of their lineup of PC peripherals, and once our eyes started to burn, we even scored some soothing eyedrops from the Rohto folks! Now, all of that is well and good, but PAX wouldn’t be PAX if they didn’t showcase some tasty indie games, and BrainLazy wouldn’t be BrainLazy if we didn’t give them some love. The epicenter of Indie activity was the Indie Megabooth, an expo-within-an-expo that brought together two dozen Indie Developers to show off their hard work and future plans. They went the whole nine yards, even going so far as printing up a passport, complete with tasks required to earn yourself a stamp. Never let it be said that BrainLazy isn’t willing to jump through hoops. Feast your eyes on the completed passport! That's right, I showed off my mad tesseract drawing skills! In honor of the effort these good folks put into their showing, we are planning an in-depth series covering the indies in attendance, showing the development and progress of each title being displayed. We’ll show you as much as they show us, and give you an idea of the long and bumpy road between brilliant indie concept and, ideally, published indie masterpiece. Stay tuned for the BrainLazy take on all the PAX East had to offer!